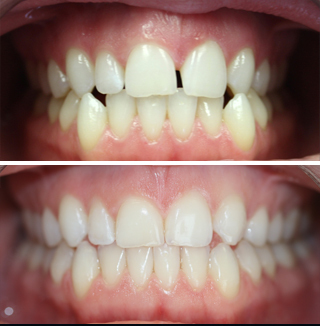 Fixing crooked teeth used to mean going to the dentist for unsightly and uncomfortable braces. Fortunately, advances in dental technology have led to the creation of clear braces that are effective, very comfortable and almost invisible. Here at Palladium Dental in Kanata, we are proud to offer Invisalign braces to new and existing patients. So what is Invisalign and how can it give you beautiful straight teeth without the need for metal braces or wires? Invisalign is an invisible way of straightening your teeth. It uses a series of see-through, removable aligners that are almost invisible to the untrained eye. This breakthrough technology can give you the smile you’ve always wanted – without the hassle of braces. When you receive your custom Invisalign aligners, you wear each set for about 2 weeks, removing them only to eat, drink, brush, and floss. As you replace each aligner with the next in the series, your teeth will move – little by little, week by week – until they have straightened to their final position. 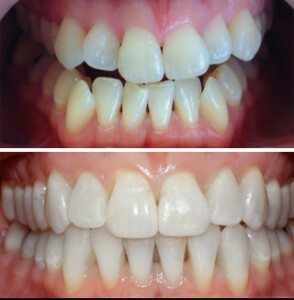 The process does not involve braces or surgery, and is designed for maximum comfort and effectiveness. Your Palladium dentist here in Kanata will then monitor your progress with short check-ups – usually about once a month. Total treatment time depends on the individual, but generally you should expect between 9 to 18 months for full results to be seen. To find out more information on Invisalign invisible braces, or to make an appointment, contact our dental clinic in Kanata today.